The most demanding and challenging of all aesthetic surgical procedures, rhinoplasty is made easily accessible in this practical, how-to book from the world's leading practitioners. Not only does Rhinoplasty: Cases and Techniques demonstrate a wide array of approaches, techniques, outcomes, and surgical pearls, tips, and nuances, but it also offers a unique cross-cataloguing feature that is especially helpful for referencing specific deformities and the procedures used to correct them. Contributions from 30 preeminent international surgeons place techniques from the masters at your fingertips, allowing you to learn a variety of surgical styles and approaches. Rhinoplasty: Cases and Techniques offers examples, insights, and the expertise of the finest surgeons in the world as you plan your own procedures. 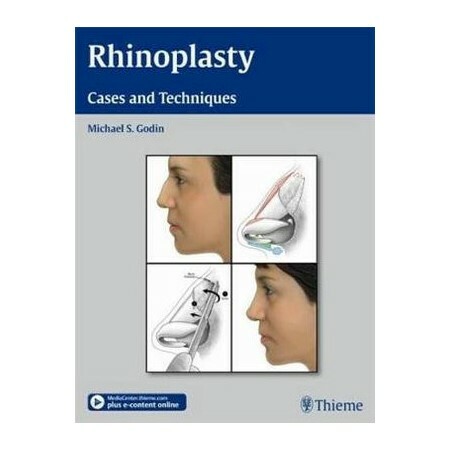 It is mandatory reading for all facial plastic surgeons, plastic surgeons, otolaryngologists, residents, and fellows who are preparing, studying for, and performing safe, effective, and successful rhinoplasty.